Trying as I might to give every film it's due and it's own review kind of caught up with me Sunday and I ran into some films about which I really had very little so say. It was not a question of quality it was simply a matter of finding I really had nothing long winded to say about any of them (largely the result of exhaustion). As a result the pieces I came up with too short for their own post so I've combined them into a longer single post. 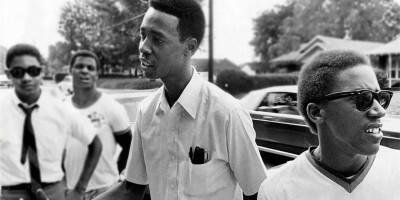 Spurred on by Stokley Carmichael, Malcolm X and their brand of resistance Charles Cabbage and Coby Smith took their ideas and used them change the racial status quo in Memphis. This is a very good look at what happened in Memphis in the late 1960's and how the Black Power movement that took root there and then flowered across the country. This was not a story with which I'm familiar and its wonderful that director Prichard Smith throws a light on a vital and unheralded part of history. I can't wait to see this again. Nicole Groton's look at how her family changed and expanded over the years as the cycle of divorce, marriage and relationships brought in various players to the table. I suppose this is an interesting anthropological study for someone, but as far as I'm concerned I can look at my friends and family for this sort of thing and not have to pay money to do it. Good but unremarkable film about the students trying to get into the three elite New York City public schools - Stuyvesant, Bronx Science and Brooklyn Tech- entry into which almost assures success after graduation (99% graduate and 98% go to college). Well done on it's own terms but it's the sort of story that is very similar to other stories I've seen in one form or another recently (In particular it reminded me of ALL RISE which played earlier in the festival). 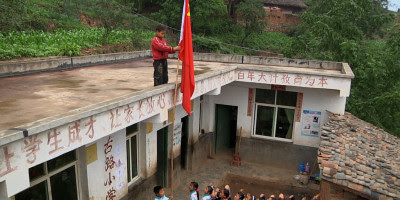 In the remote village of Gulu hidden in the mountains of China things have gone on largely uninterrupted for centuries. When an idealistic young man arrives with plans of modernizing the village including the school things begin to get tense and fracture. Very good look at a decidedly different way of life that's far away from here and even far away from most paces in China. Playing out in unexpected ways this is a film that is intriguing not only as true life drama but also kicks up a lot of questions about what is best for our societies and our children. Its all well and good to come into a town and tell them how things are going to be but at the same time not being from there is going to cause friction. This is most certainly a film I will be revisiting again down the road because it has given me a great deal to ponder.